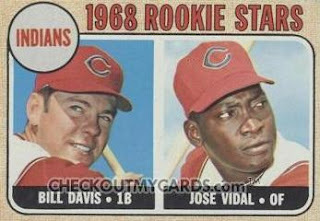 I rank two of Steelehere's posts as "essential card reading", one of which I referenced in a Lou Piniella retrospective. 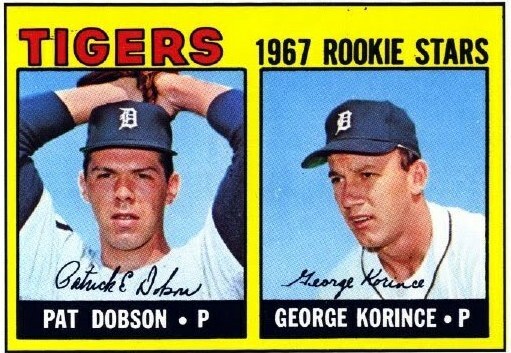 That post is "Hope Springs Eternal" and shows off guys with more than 1 multi-player rookie card. But why stop at one great post? In Sept 2010, he added "Hope Spring Eternal - Part Two." 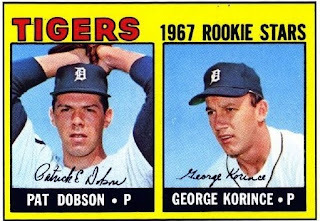 It features, among other cool stuff, a Topps fumble-and-fix, where they ran 2 different cards for George Korince in the same 1967 set. Twice the players means twice the stories! Check out more of his cards and research at 1207 Consecutive Games. PRE-WAR PENNANT GIVEAWAY: Final results! Great package from The Year It All Began!